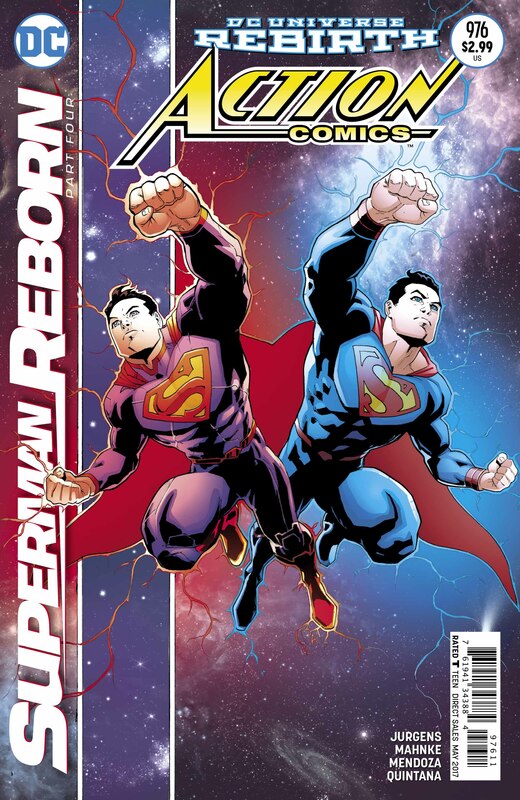 Alright, we all knew that the “Superman Reborn” crossover event was going to be a game changer, but despite bracing ourselves as best we could, we weren’t prepared to absorb the shock that came with the conclusion to be found within the pages of Action Comics #976. 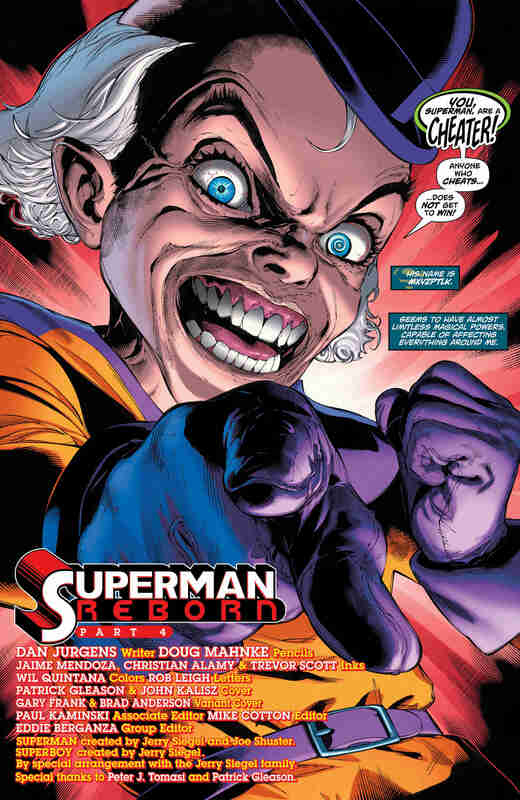 After learning that the fake Clark Kent was, in fact, Mr. Mxyzptlk two weeks ago, many of us were left champing at the bit for whatever answers to Rebirth’s greatest mysteries would be disclosed. To be quite honest, aside from Superman’s new status quo being firmly established, we’re still in the dark when it comes to the bigger picture. Still, that doesn’t mean you have any excuse to miss this week’s offering. 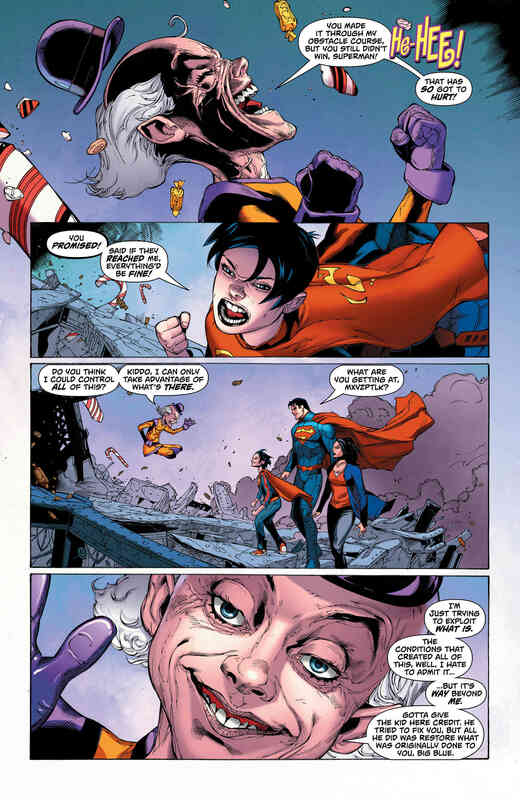 Last week in Superman #19, we witnessed the return of the New 52 Man of Steel and Lois Lane, both of whom emit a red energy as opposed to the blue possessed by their pre-Flashpoint counterparts. 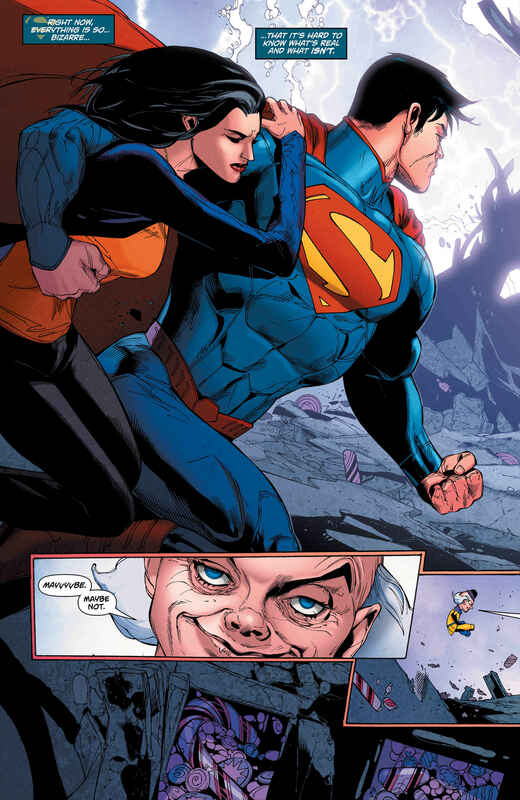 Long story short, Jon Kent, the current Superboy, succeeds in uniting both types of entities, effectively creating one cohesive version of Superman; the same goes for Lois. Are you following along? Anyway, the big takeaway isn’t just that these characters have been made whole as it were, but it’s also that their continuities have been merged. 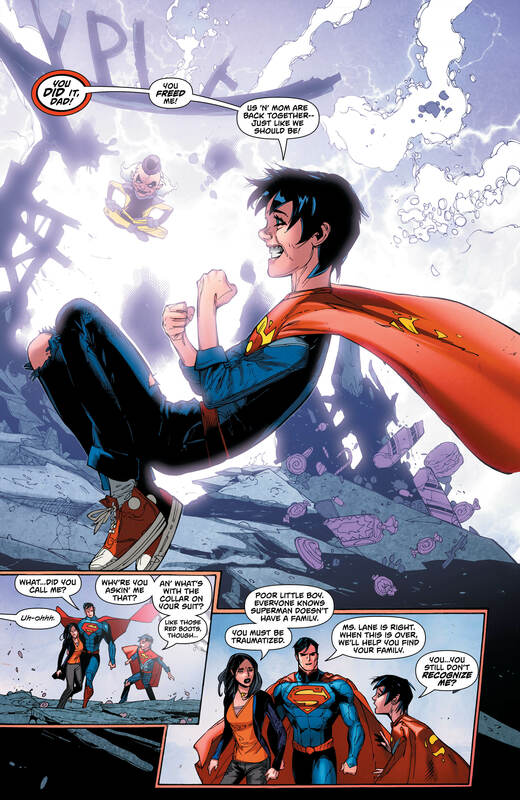 In other words, everything that happened in Superman stories post-Crisis and beyond are all canonical; there’s only one Big Blue in the minds of those living in comic book land. 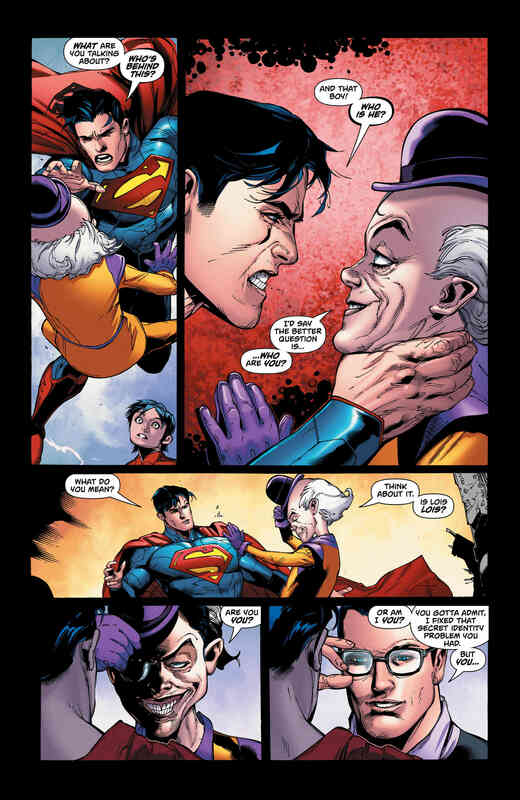 Furthermore, it looks like pre-Flashpoint versions of Metallo and Cyborg Superman may be making a comeback as well. But, as I intimated earlier, if you were hoping on learning the true identity of Mr. Oz or something having to do with the Watchmen characters, well, you’re going to have to wait longer. Hopefully “The Button” or Dark Days will fill our prescription in the coming months. 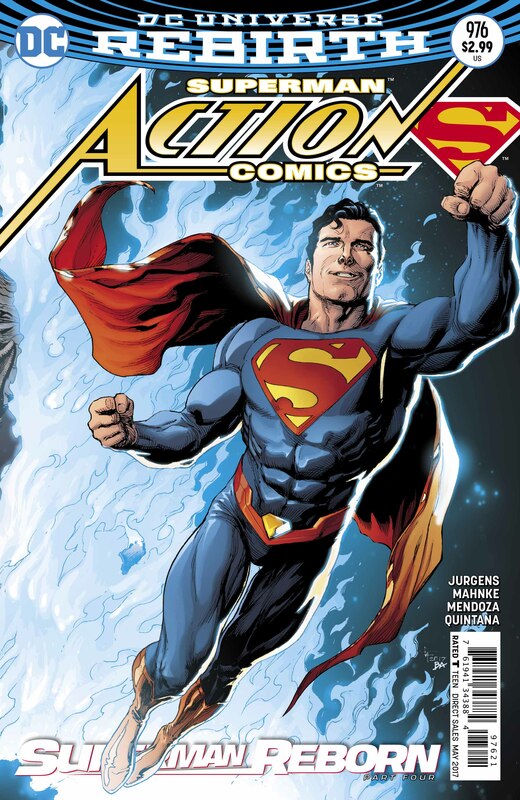 Action Comics #976 is now available in comic shops. For more, be sure to check out our review.